Chronicling mankind's absurdities since 2012.Welcome aboard this journey as I take the 'tire' out of satire. It was that day of the year yesterday. I mean February 29, which comes once in every four years. It is quite literally the Uday Chopra of the Gregorian calendar. You know it's going to strike you and yet there's nothing you can do to prevent it. Besides this, there were other matters of global prominence too, namely, the Oscars and "OMG, OMG Priyanka Chopra exhaling carbon dioxide at the Oscars." This comes as a bit of a surprise, as Indian emotions in general about American matters are pretty limited to whether or not American customs will allow you to take mango pickle into the country. However yesterday was also Budget Day in India, or as I would like to call it, the "annual CA planetary relevance reminder". Now Budget speeches are way too boring and require endurance to watch from start to finish. Especially when Indian audiences are accustomed to the "WWE Hell in the Cell" theatrics, which are quite a common sight on an average day in the Parliament. 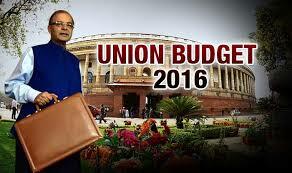 Budget speeches are filled with way too much of financial jargon for the common man to comprehend. Allow me to, then, put my knowledge of accountancy to some good public use finally and gain some karmic brownie points in the bargain. Trust me, you're in safe hands... well almost! The budget session of the Parliament started as always with the finance minister posing in front of the press with an age-old briefcase which is supposed to contain the well-guarded Budget papers. In an alternate universe, in case I do get selected for this coveted post, I would love to just open a briefcase full of samosas and kachoris on Budget Day simply to troll the photographers. The standard operating procedures are pretty simple. News channels across the nation stream Budget updates live and citizens are supposed to act shocked and traumatised over every other announcement as if they didn't know the Budget was going to screw them up eventually. It's like walking into a Barbecue Nation outlet for dinner and getting stunned by diarrhoea next morning. While hogging away a year worth of calories in one meal, deep within, you knew very well that things won't go too well next morning, but you still carried on shamelessly. Coincidentally, this is how the government works too. When you splurge a bit too much, you need to unload a fraction of your wealth to the government coffers too. The trauma is usually accompanied by choicest slur words aimed at ministers and their posterity. "Hey, who the f**k are you to enjoy simple pleasures in life, that too in Dolby Digital Surround Sound, when the movie is going to come up on TV two months down the line?" Electronic items would get costlier so you might not want to sever ties with your foreign-based relatives even though they usurped all your ancestral property. Branded garments will attract higher excise duties thus giving snobbish kids more things to brag about, besides their cars, houses and that De Beers diamond necklace which coincidentally happens to come with a loving and caring mom attached to it. You see, on a scale of priorities, human emotions come after materialistic possessions for this breed. Start-ups formed between April 2016 and March 2019 shall enjoy a tax break for three years unless they make a viral YouTube web series midway chronicling their struggles, in which case, they shall get rewarded with a cameo by none other than Prime Minister Narendra Modi. Middle class guy: "Hey, you can't just tax my whole life's savings, that too when I am about to retire!" Government guy: "Don't get so emotional. At least you didn't get rammed and killed by the SUV of a drunk celebrity. Isn't that enough mental relief?" Middle class guy: "Boss, what about my social security?" Government guy: "You know you could have been struck down by lightening, floods, lamp posts falling, open sewers, what not. India offers some highly creative ways to get killed. Count your blessings." Middle class guy: "What the..."
Government guy: "Bloody greedy guy you are!" Telephone bills shall get higher owing to increased telecom spectrum rates. So just in case you're looking around for a credible reason to snap out of your long distance relationship, this is a godsend opportunity indeed. Food outings at restaurants shall cost more owing to higher service tax which shall inevitably cause a sharp rise of a new breed of foodies who shall overnight discover their passion for street food at roadside stalls. a) You are an a**hole indeed! b) You will have to pay taxes to pursue this noble hobby of yours. The government is also offering a four-month compliance window for domestic black money holders to search deep within their soul for finding out any last few shreds of morality. Last, but not the least, here are a few terms for your reference. It's strongly recommended that you use them to sound wise in any conversations remotely revolving around the topic of the Budget. 4. Transgressors (a "cooler" synonym for violators). Here's hoping that we have a prosperous year ahead and also that we get the opportunity to time travel in the future just to see if our green cards get approved or not. Disclaimer: Do not take any financial or personal decisions on the basis of the article above. Just in case you do, feel free to mail me as to how horribly wrong it went. I might just get some material for my next column. The author has been a writer of humourous articles since his childhood days(which are sadly about to end in a few years from now).In case you want to get in touch with him feel free to write a mail to r.batra2000@gmail.com (P.S Don't forget to write "Billionaire's daughter seeks matrimonial alliance" in the subject line in case you seek a response from him.) He is a chartered accountant & colours Ms Excel sheets for a living.He is currently a humour columnist at India Today (a leading media conglomerate in India). He is extremely active on Facebook & can be reached unless he owes you some money. Being an intellectual thinker since birth, he doesn't ponder over trivial questions like "Who came first the chicken or the egg? " till the time he is served his Tandoori Chicken on time. To know more about his portfolio, click 'Portfolio' tab on top of the page. Voted as India's top 5 humour blogs. Like our Facebook page for daily humourous updates!! Subscribe to our blog email updates for your weekly humour scoop!! Love us?? 'Like' us !! 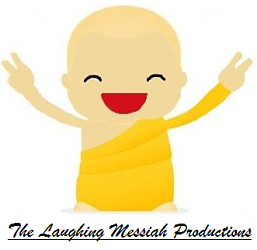 "The Laughing Messiah" blog by Rahul Batra is licensed under a Creative Commons Attribution-NonCommercial-NoDerivs 3.0 Unported License. The contents posted in this blog, with the exception of pictures and as and where otherwise indicated, are the intellectual property of their author Rahul Batra. The copyrights of these lie solely with the author and unauthorized use of these contents is strictly prohibited.Content is protected by international intellectual property copyrights & federal laws.Appropriate legal action shall be taken against offenders. All views expressed on this website are those of the author only & do not in any way whatsoever reflect opinions of his employers, trade partners etc. ©2016 Rahul Batra, The Laughing Messiah Productions All Rights Reserved. Theme images by moorsky. Powered by Blogger. Join our Facebook page for daily humourous updates.